Nocked & Loaded - Your first choice in firearms, suppressors, or archery. Nocked & Loaded is a full service Archery and Firearms retailer, with two locations in Central Texas. Our Lampasas, TX store has been open since 2009 and our newest location in Killeen, TX opened in November 2016. Both locations feature trained archery technicians available to perform any service your archery equipment may need. Each store also has a 20yd indoor archery range where you can "try before you buy" your next compound, recurve, or crossbow. We carry the full lines from Hoyt, Mathews, Mission, and Elite bows. We also have hundreds of firearms in stock at both locations to fit your firearms needs. We stock firearms from Ruger, Sig Sauer, Colt, Springfield, Smith & Wesson, Montana Rifle, and many others. 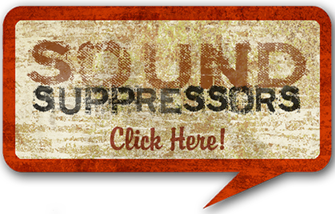 Our Lampasas location is also a Class III NFA Dealer and can handle your suppressor, SBR, or other Class III needs. Nocked & Loaded is ready. You will find all types of firearms, including rifles, shotguns, and handguns from the everyday to truly exotic! Nocked and Loaded has all the services and accessories you'd expect from a premier outdoor outfitter! Come on by and let’s visit! Nocked & Loaded is more than just a archery supplier. We know archery equipment from bows to back packs along with bow hunting, bow hunting leases and everything else you can think of to do with the sport of archery!